Josh Allen will be limited in practice, but there is still a chance he starts on Sunday at New York. 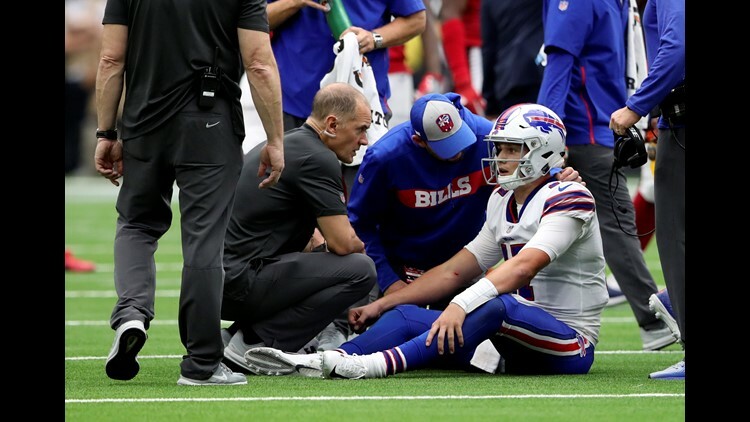 BUFFALO, N.Y. - There is a chance Josh Allen will be the starting quarterback for the Buffalo Bills on Sunday when they play the New York Jets. Allen is limited in practice, but not listed out of the lineup, according to head coach Sean McDermott. Veteran quarterback Derek Anderson is still injured after suffering a concussion when the Bills (2-7) played the Patriots on Monday Night Football on October 29th. He is listed as out for the game at the New York Jets (3-6). If Allen can't play, it is likely Nathan Peterman will start, but McDermott did not make an official announcement and said the team is still evaluating the situation. "Right now, let's just keep it focused on Josh and take it one day at a time," McDermott told reporters on Friday morning. Charles Clay (tight end) and Trent Murphy (defensive end) are listed as out for the game against the Jets.